As the end of the year approaches, some of my colleagues have taken the time to acknowledge my efforts as their literacy coach. You see, I will not be returning to the school I have called home for the past fourteen years. I am embarking on a new adventure in teaching and coaching next year. 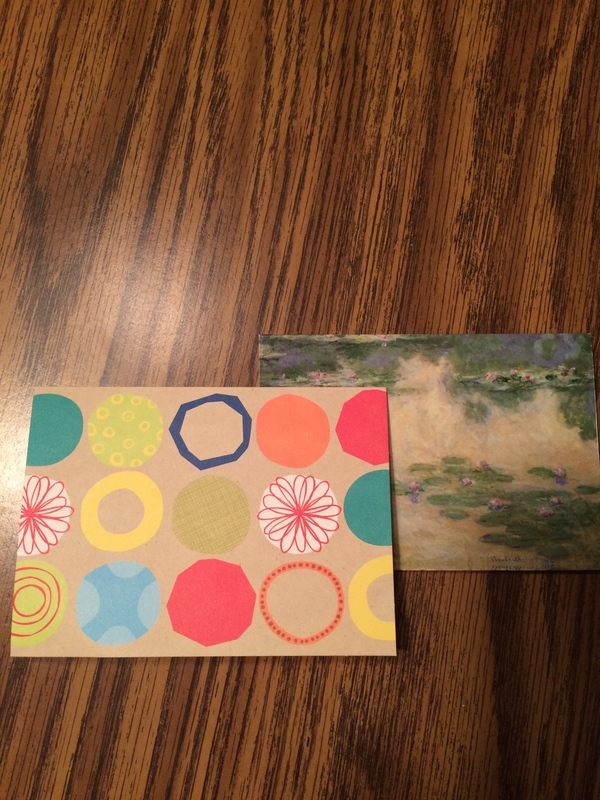 Today, I found two Thank You cards in my mailbox. The first said, “Your constant encouragement and positive advice has made me a much stronger and confident writer…” The second card read, “…I’d also like to thank you for helping me see the writer in myself.” These words are the highest compliment a teacher could have given me. I worked to support our teachers in many ways. I have reminded them of important assessment dates, helped them look at student work, gathered resources for them, planned lessons with them. However, those things seem insignificant if, in the end, I helped them see themselves as writers. To me, there is nothing more important. As your school year winds down, take a moment to think about the people who have impacted your writing life. Who has encouraged you? Who has pushed you to put words on paper, even when you didn’t believe you could? Who has read your writing and given you honest feedback? Who believes in you? Take a few minutes before the school year ends to say thank you. Send a handwritten note, an email, a Facebook message, or stop someone in the hall. Don’t let the school year slip away without saying thanks. You can’t exist as a writer without the people who believe in you. That’s what us writers thrive on – the community we build for each other. To M. and J., thank you for the cards and the kind words. I will carry them with me on my next journey. Keep writing. Saying thanks is so important. There a lot of mentor/leaders who are leaving my teaching life this year. I said thank you to one yesterday and thought I was going to cry. I have more to write. Thanks for the encouragement to write what is in our hearts. Slice of Life changed my writing life completely! So thank you to all of you who create and support this wonderful, engaging website. Thank you to all the people who responded to my slices as a first-timer this year; it was very encouraging to receive those. And I owe a very BIG thank you to Kathleen Solokowski who nudged me to get on this site initially. And lastly, thank you to you, Dana, for suggesting this idea. It seems such an obvious thing to do, but somehow in the rush and crush of everything else, we can forget to do the simplest, most meaningful thing. Good luck in your new endeavors! Thank you Barbara! 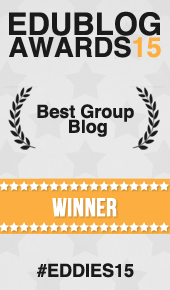 Reading your blog has become something I anxiously await each Tuesday. I am so glad we found this community and continue to grow as teachers, writers, and friends. I was sure to thank my critique group members today since the four of them continue to push and support me. And thank YOU for your willingness to read over my MS when I send them your way. I appreciate it, Dana! While I know you’re going to be missed in your school district, there’s a whole new crop of teachers who are going to benefit from your expertise. What a lucky group they’ll be! You deserve a tornado of thank yous for all you have shared/taught. Good luck and joy on this next step in your journey. Dana, this is a great idea as I leave my school. I won’t be able to say in person, what I want to say to the people I’ve worked with for 12 years (I’m afraid I might cry). I think I will spend the weekend writing thank you letters to my colleagues to let them know how much they have meant to me. Once report cards are finished (this week’s task), I hope to get notes off to people (next week’s task). Thanks for encouraging me to keep it on my to-do list. Dana…I will live vicariously through you today…I am ending my work coaching 6 schools and will start next year with just 3, in the same district. I wish you the best in your new role! I will definitely say some ‘thank yous’ this week. Take care!